One of our newest members has been officially inducted into the Batavia Rotary Club. Michael Shoultz will be a great addition to our club. He has been on many service projects so far and will continue the good work under the name of Rotary. We are very happy to have you in our Rotary family. 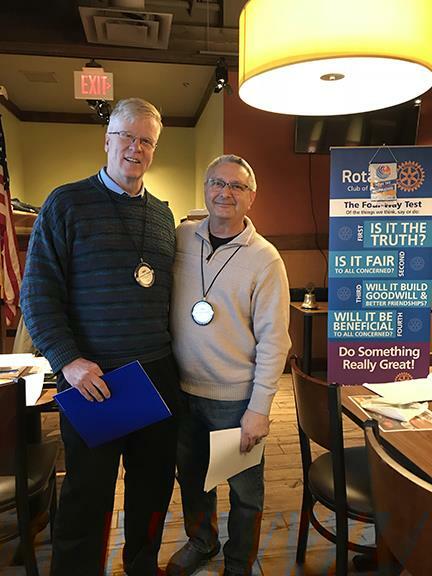 Pictured below is new Rotarian Michael Shoultz and his sponsor Batavia Rotary President Elect Tony Winter.